We get the party started ! At Grant Plaza, we can bring your wedding and special event ideas to fruition. 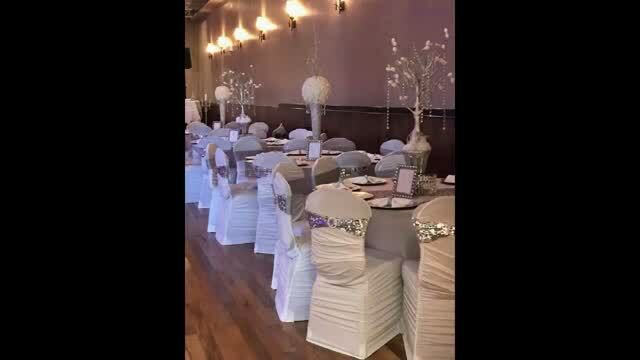 We are a spacious banquet hall located in Downtown Vineland New Jersey. We are equipped with a fully stocked bar and offer catering services for all types of events. Our venue holds 250 people seated with a standing capacity of 350 people. We focus on providing high-quality service and customer satisfaction to our customers. Our Banquet Hall offers everything you can dream of to ensure a memorable experience for you and your guests. Look around our website to see future and past events, if you have any comments or questions, please feel free to contact us. Check back later for new updates to our website. There's much more to come! Also check out our facebook page for more photos!